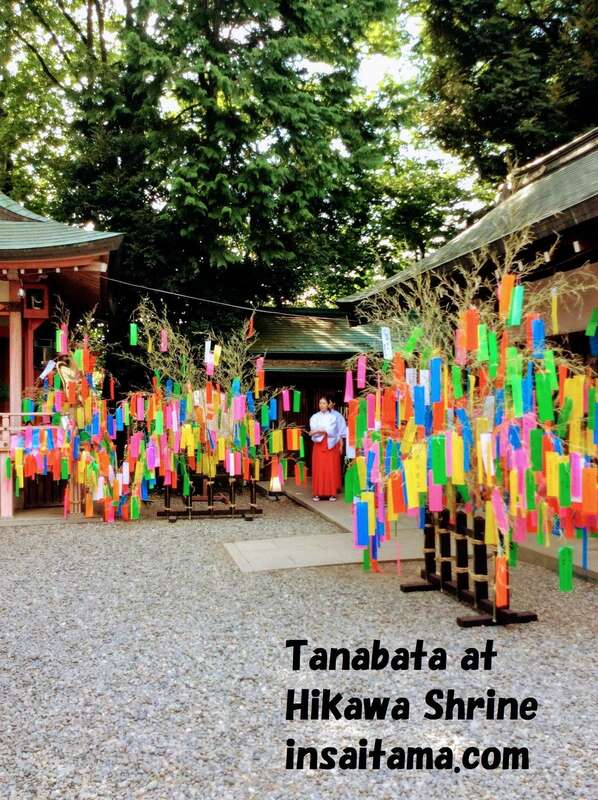 Each summer, Hikawa Shrine displays hundreds of wind chimes during the months of July and August. Today, a storm was brewing up and I instantly thought of going to see the chimes! Last year (2014), when we went the air was so dead that the chimes were also lifeless. Today, we could enjoy their soothing sounds. (Video used with permission). 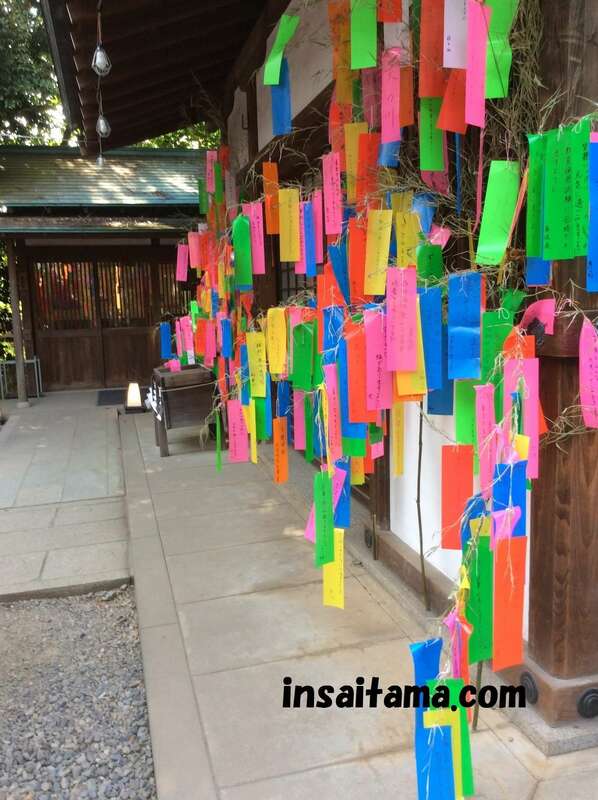 During the wind chime season, you can add your prayers to the wind chimes by buying an ema, a small wooden plaque, to write your prayer and tie to the chime. 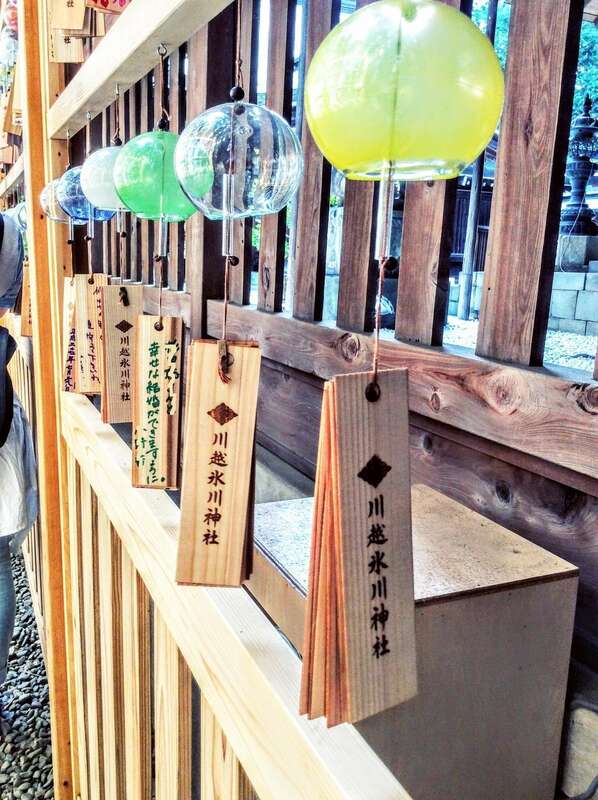 Some areas have coloured chimes, while others are clear. At night-time, it is particularly spectacular as the chimes are illuminated and there is a light show in the water feature at the front of the shrine grounds. Occasionally, there is also live music to accompany the whole sensual experience. 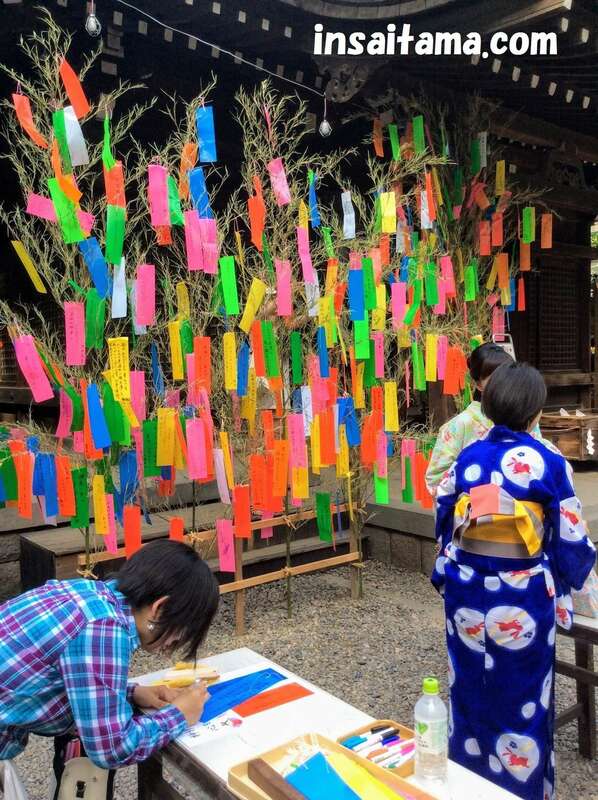 During the Tanabata (Star) Festival at Hikawa Shrine, you can see coloured strips of wishes tied to bamboo trees. 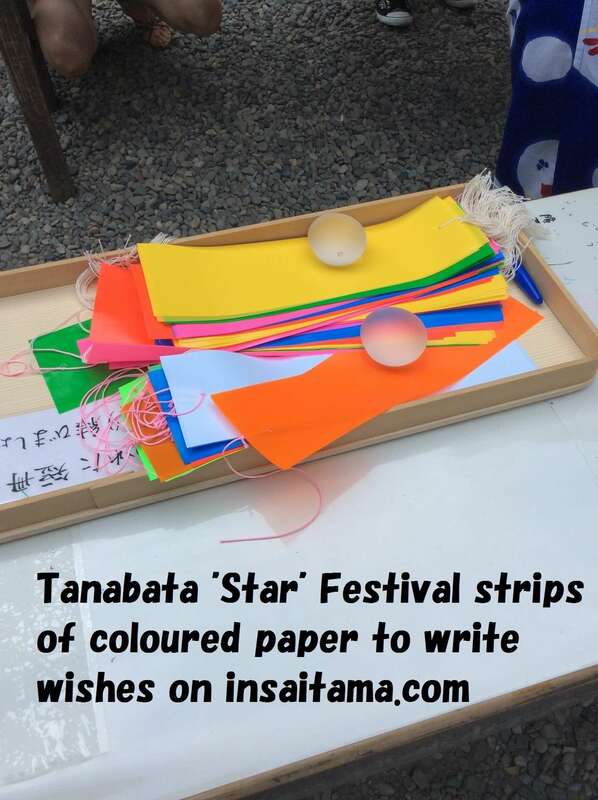 You can also write your own wish to add to the bamboo shoots. They have some additional festival stalls and music on that day. 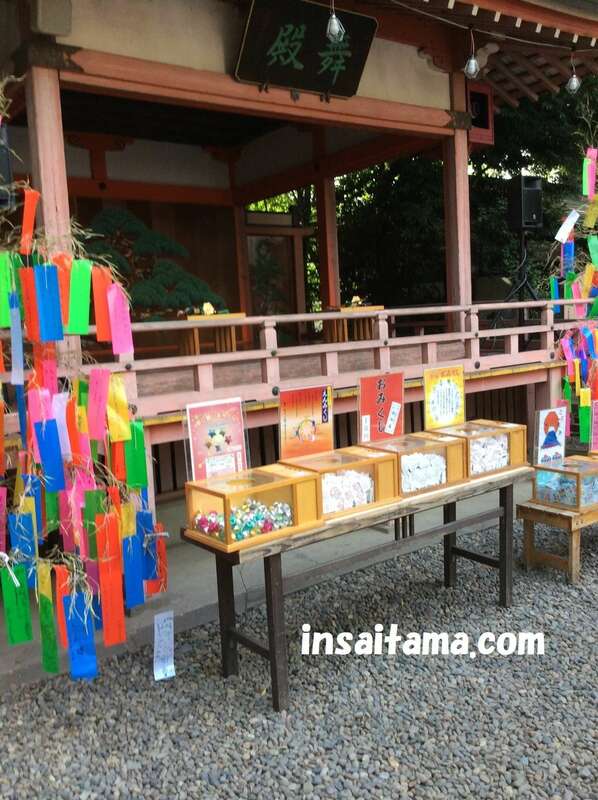 The main event is in the evening, usually from 6 pm, when they have some special traditional music performances and they read kamishibai to children. The wind chimes will be available from July 1st for the 2017 season. 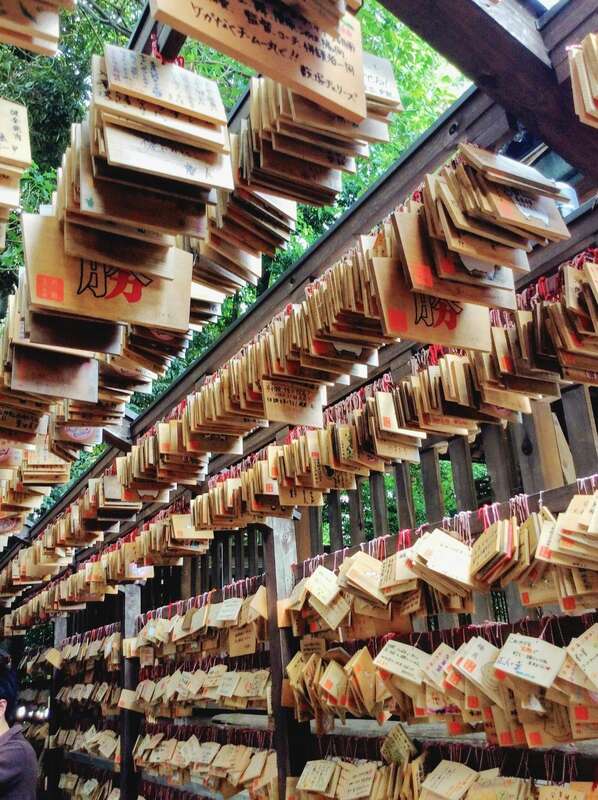 The shrine is open from 9am to 9pm. The illumination starts from 7pm. The cafe next door, Musubi cafe, offers seasonal sweets in association with the event. 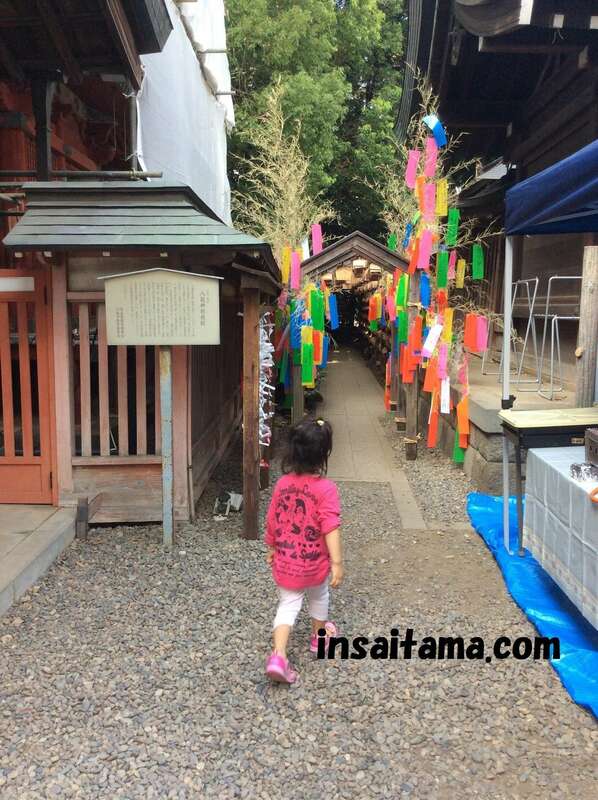 You can walk from Hon-kawagoe or Kawagoe stations along a tourist route, but it takes about 40 minutes. There is a tourist bus or a regular bus that will bring you close. There is free parking for 300 cars. The event usually ends late August to early September. Oh my goodness! I love the sound of wind chimes… I may just play your video over and over. I find it so cheerful and lovely! what a beautiful combination of sound and vision!